20.5 + 34 + 57 x 39", 900hp @ 85rpm engine by North Eastern Marine Engine Co., Newcastle (1896). 13.5 x 9.5' @ 180# steam, scotch boilers by North Eastern Marine Engine Co., Newcastle. 1899 Owned Montreal Transportation Co., Montreal, QUE. 1906, Sep On the rocks 12 miles below Detour Light, coal laden. 1916 Owned France; renamed AUBE. 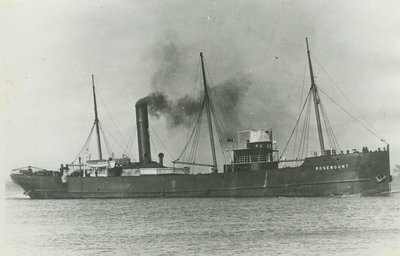 1930 Owned Aube Steam Ship Co., Montreal, QUE.